A joint venture between Jacobs Engineering Group and CDM Smith has received a potential $100 million contract to provide disaster response services for the Federal Emergency Management Agency. The services will encompass public assistance recovery operations, construction, project management and technical support designed to alleviate damage in Puerto Rico caused by Hurricane Maria, Jacobs said Thursday. The company will help FEMA assess damage to critical infrastructure and work with the Puerto Rican government to identify scopes of work and costs for restoration efforts. The contract has a base value of $65 million and an option for a $35 million increase. Jacobs will perform initial work over the course of one year and will continue for another six months if the option is exercised. “We will be working in coordination with FEMA and the community to support the rebuild of Puerto Rico’s critical infrastructure,” said Jan Walstrom, senior vice president of Jacobs Global Environmental Solutions. 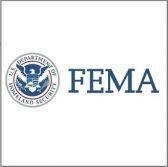 The contract adds to Jacobs’ ongoing FEMA efforts including those supporting the recovery of the U.S. Virgin Islands.